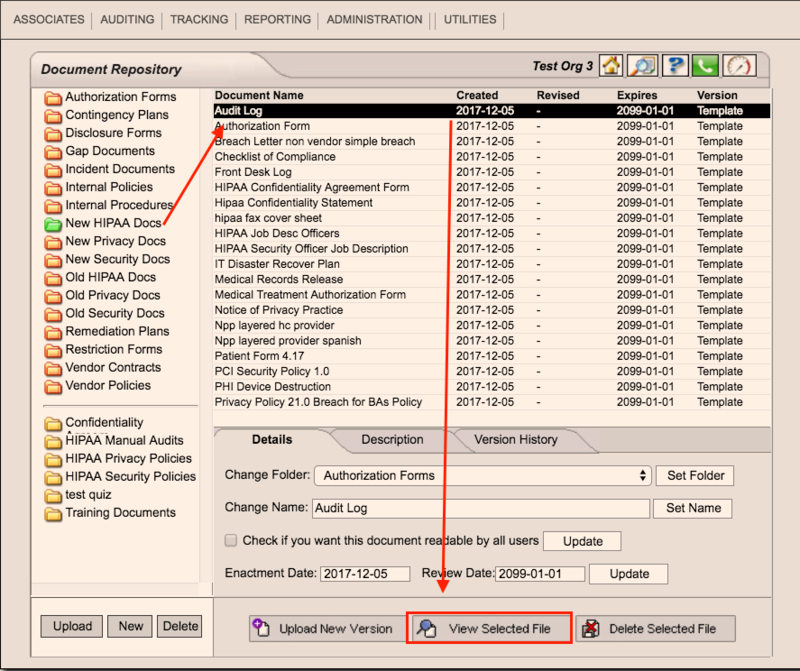 Found under Tracking, then Documents, the Document Repository is a powerful tool in your HIPAA compliance utility belt. It is where you will store all your documentation. For example, you will house your manual audits, your policies and Staff CA’s (amongst other items) here.